Hello guys. Today we are going to talk about application bundles. 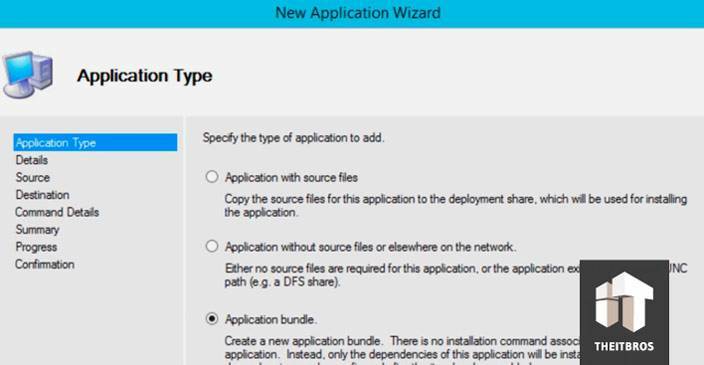 So, what is an application bundle? It’s when you are bundling up a bunch of applications within MDT 2013 Update 2 or Update 1 deployment. Basically it is putting everything into one container, and then when you are deploying you can pull it out with one application, which is awesome. So let’s get inside Application note. We are going to show you that we already have an application bundle. Just open the Application Bundles folder and here we can see an application to select. 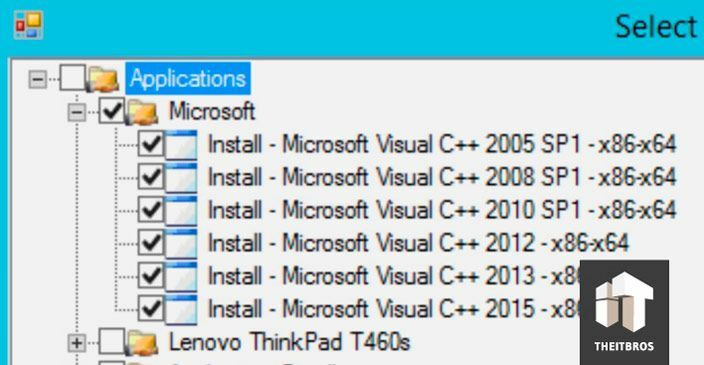 If we double-click on it and then go to Dependencies, we can see that this bundle is actually going to install all these applications in one shot. Before you get started you have to install each application that you want to be part of your bundle. For our Microsoft note we have a bunch of Microsoft Visual stuff, so let’s create a bundle together. We are going to right click on the Application Bundles note and select New Application. Now, select the Application bundle option. After that, specify the details for this application and go ahead. It’s going to create a new bundle. Once it is done, go to Application Bundles again and you will see your new bundle. Double-click on it and then go to Dependencies. Now, click on Add. You should pick all the application that you want to be part of this bundle, so you have to select all this entire note. Click on Apply and go ahead. Now it’s time for you to deploy. You got to do it within Task Sequence or during deployment. If you want to do it within Task Sequence, it’s really easy. Go inside Task Sequence and pick the standard deployment. Double-click on it, go to the Task Sequence tab and where you are going to go now is Install Applications. 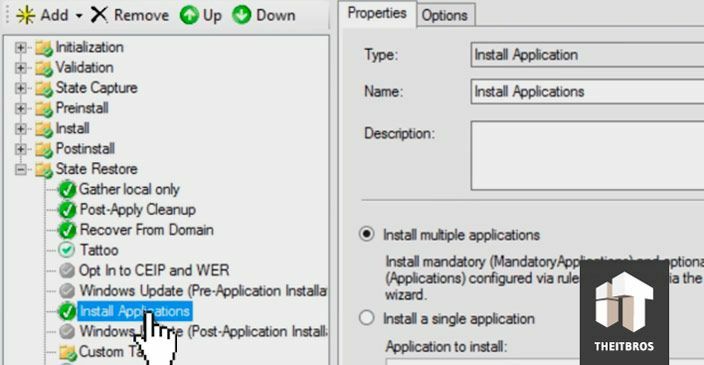 Select Install a single application option and pick your bundle. That’s it guys. 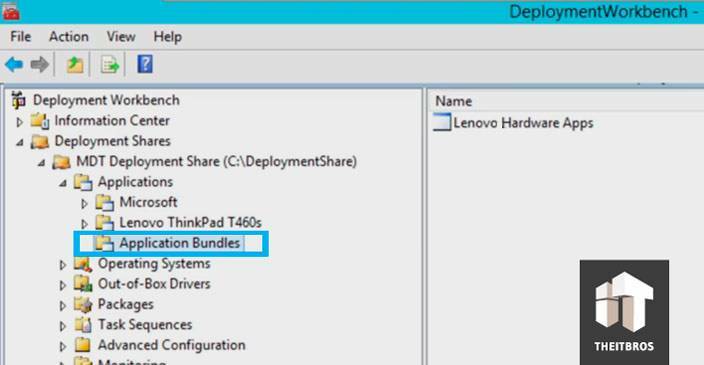 That is how you deal with application bundles within MDT 2013 Update 2. 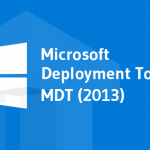 It works for all the MDT 2013 deployment. If you have any questions, leave comments right below.